Perfect for all year round structure in the garden, Bird Baths are an excellent way to add a beautiful garden feature that also, of course, helps our feathered friends. This is especially important in the Winter months when natural bird food sources might be scarce. 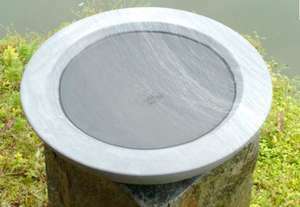 Ingarden offers a stunning range of Bird Baths and Bird Bowls in natural, Indian sandstone and slate. 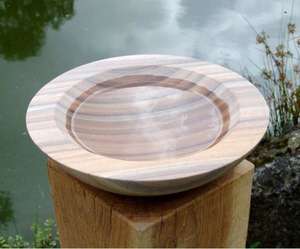 Individually handcrafted by artisans in beautiful, hard, non-porous sandstone. Only the best quality natural stone is used ensuring each piece has a high proportion of exquisite, unique, natural markings. 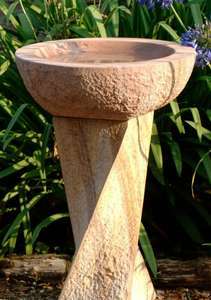 Stone Birdbath. Dolphin Grey TWISTED Honed Sandstone. 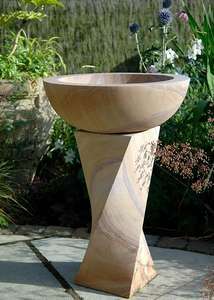 Natural Rainbow Sandstone Garden Bird Bowl Only.